The last year of reforms has been a period of significant transformation for Saudi Arabia, leading to various groundbreaking results. From lifting its decades-old driving ban on female motorists, to the return of public cinema, to the overall improvement of women’s rights in the country, Saudi Arabia has managed to make front-page news time and again. 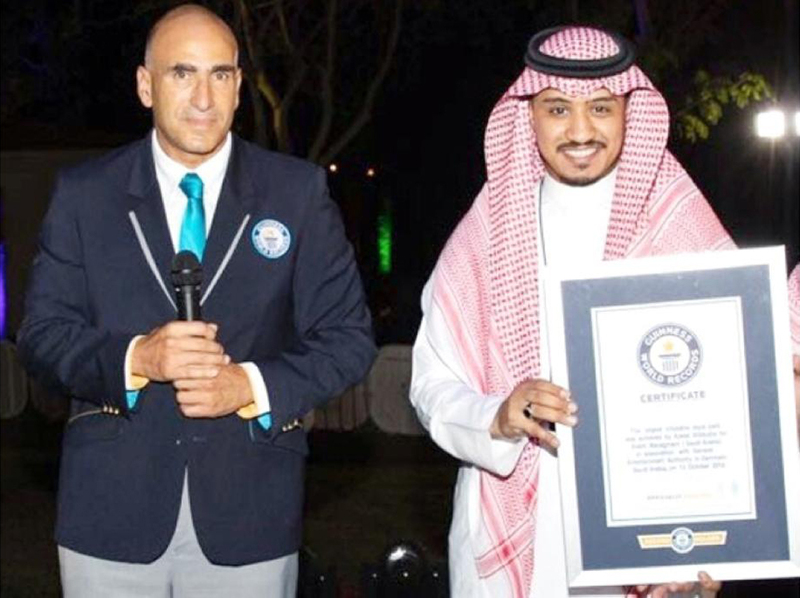 On the more fun side of things, the Kingdom has also made headlines for setting memorable world records, such as the largest picture mosaic formed by people in 2017 on World Diabetes Day, the largest human awareness ribbon in the world in 2015, and the largest donation of school supplies in 24 hours in 2012. 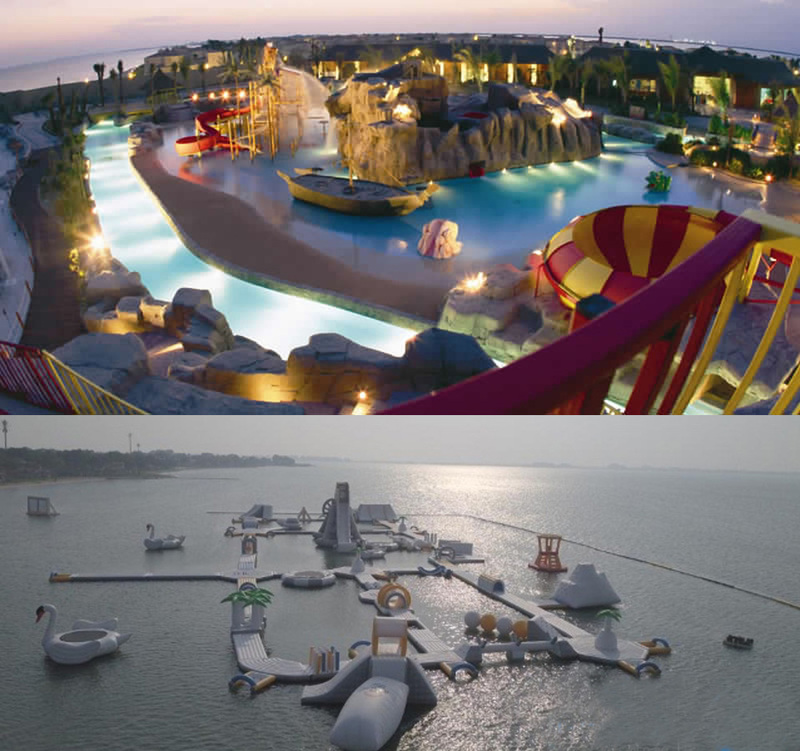 This year, Saudi Arabia has once again made headlines for clinching another world record, this time for the world's largest rubber water park, which was set up during a beach event at Sunset Beach Resort in Al-Khobar. 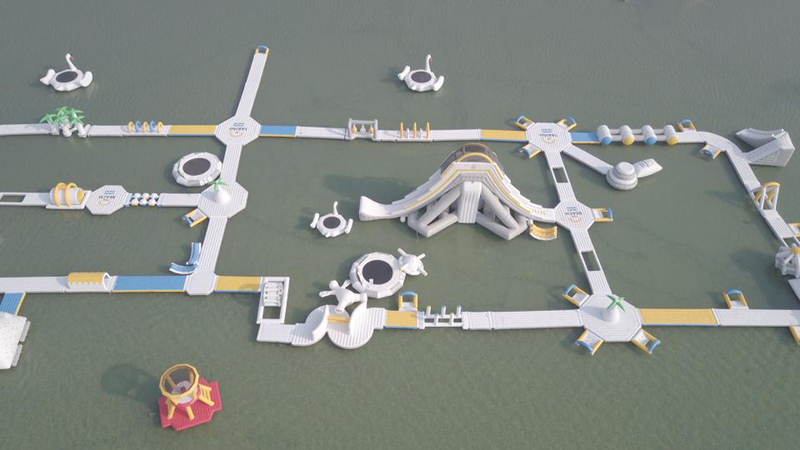 According to Saudi Gazette, the giant water park is spread across 20,536 square meters of land and offers over 70 fun games and experiences such as labyrinths, ladders, slides, bridges, inflatable towers, and even something called gulf cycling. Visitors and contestants from the United Arab Emirates, Kuwait, Oman, and Bahrain flocked to the park, taking in the sights and sounds of the various acrobatic, artistic, and entertainment shows including jet skiing, diving, beach cinema, and sand painting. The park was open to the public on October 11 and will stay up until November 3. 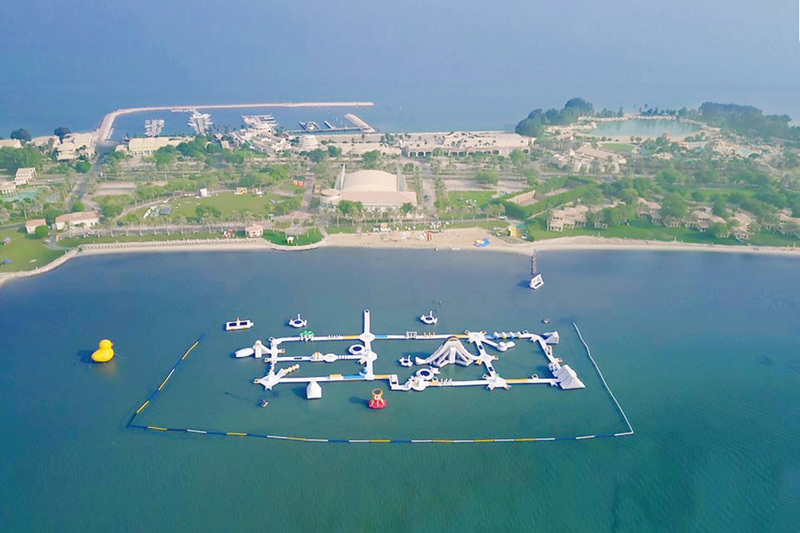 The previous holder of the Guinness World Record for largest park was the Philippine city of Subic, which registered the world's largest 3,400 square meter water park. This record for Saudi Arabia is the third the Kingdom has received in just this month alone. It has received two certificates from the Guinness World Records, one for the largest flag in the world formed by 300 drones and the other for the largest number of fireworks fired simultaneously from several cities, more than 962,000 fireworks launched into the night’s sky as part of the celebrations of Saudi Arabia’s 88th National Day celebrations.